Kesari is a war drama based on the Battle of Saragarhi in which an army of 21 Sikhs fought against 10,000 Afghans in 1897. It stars Akshay Kumar and Parineeti Chopra in the lead roles and is helmed by Anurag Singh. Kesari is being backed by Karan Johar’s Dharma Productions and will be distributed by Reliance Entertainment. Bollywood superstar Akshay Kumar, who impressed us with his breakthrough performance in his recent film PadMan which released earlier this year, is gearing up for his forthcoming war film Kesari, which is one of the most anticipated films of 2019. Kesari is a war drama based on the Battle of Saragarhi in which an army of 21 Sikhs fought against 10,000 Afghans in 1897. It stars Akshay Kumar and Parineeti Chopra in the lead roles and is helmed by Anurag Singh. 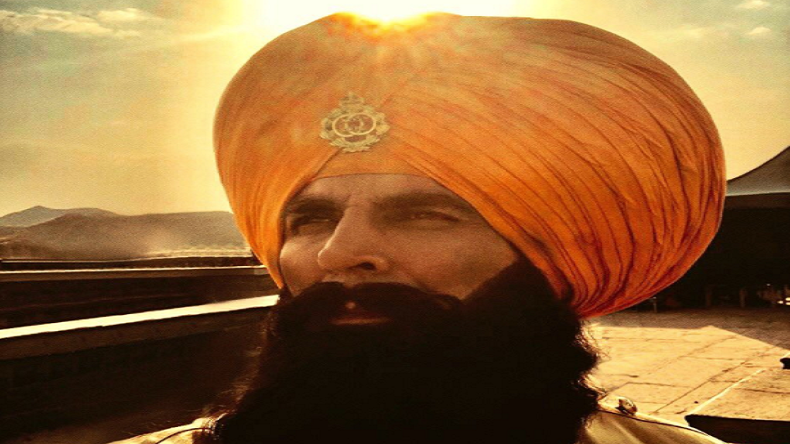 Bollywood Khiladi Akshay Kumar on the occasion of Baisakhi took to micro-blogging site Twitter to give a beautiful surprise to his fans sharing his latest look from the much-awaited film and wrote, “Tuhanu saareyaan nu Baisakhi di sohni saver mubarak hove!! Hasde vasde raho! !” In the film, Akshay will be playing the role of a military commander of 21 Sikh soldiers named Havaldar Ishar Singh who fought against thousands of Afghani invaders. The movie is based on the Battle Of Saragarhi and it will also mark Akshay Kumar and Parineeti Chopra’s first film together. Kesari is being backed by Karan Johar’s Dharma Productions and will be distributed by Reliance Entertainment. Earlier, the actor shared a pic from the sets in which he was clicked with kids. He captioned the image as, “Innocent smiles galore on set today! Shooting with these lovely children playing Afghani kids in #Kesari based on the Battle Of Saragarhi, one of the bravest battles fought in India.” Besides Kesari, Akshay will also be seen in Gold which will also feature television diva Mouni Roy in a key role.